President Trump hinted Friday on a possible compromise in the upcoming trade talks with China: tariffs on Chinese goods worth $ 50 billion, negotiations on the remaining $ 200 billion worth of goods, currently tariffs subject. If you look at the technology and the first $ 50 billion in assets, we want to keep that because we need it, "Trump said in a Friday interview on Fox Business." The President responded to a question about comments he made Earlier in the week he stated that the government would not lift tariffs on China, even if they had a trade agreement. 6 billion from China, followed by another $ 34 billion in goods at 25 percent, and the government then imposed duties of 10 percent on Chinese goods worth $ 200 billion, with the first two tranches mainly for machinery and electronics, information and communication technology, while the third installment of agricultural products, chemicals, leather, plywood, paper and textiles included among other goods. 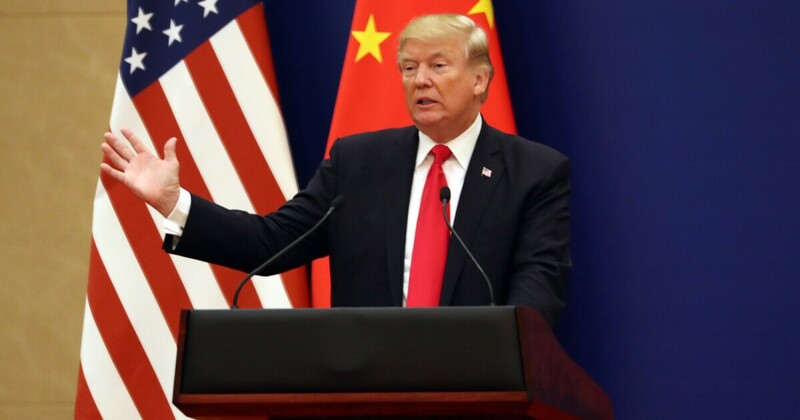 Trump's Friday comments raised the prospect that the administration had the prospect of withholding customs duties on the first two batches of Chinese goods that were hit with royalties. Trump did not refer to the third batch of $ 200 billion that was part of the tariffs he would keep. "Now it's an open question as to whether this will actually turn into a policy," said Simon Lester, Cato Institute's commercial policy analyst. Trump surprised many Wednesday when he appeared to report to White House reporters The tariffs against China would not be lifted in the foreseeable future. "We're not talking about removing them … We're talking about leaving them for a long time, because we need to make sure that if we make the deal with China, China lives off the deal," he said. A White House spokesman declined to clarify the president's remarks and did not respond to a follow-up to Friday's comments. The comments came when the US was trying to complete a trade agreement with China. The talks were reportedly questioned as to whether the Trump government will lift trade sanctions before it has finally confirmed that China has expressed concerns at first, and whether Beijing will agree to give the US the immediate application of tariffs under an agreement if it is considered a breach of the terms of the transaction. US Commercial Agent Robert Lighthizer and Treasury Secretary Steven Mnuchin will travel to Beijing next week to speak with their counterpart, Chinese Vice Prime Minister Liu He. Follow-up talks will take place next week in Washington, DC. The White House is attempting to hold final talks between President Trump and Chinese President Xi Jinping, but these have been provisionally postponed to April.